the amber threads blog: New Recycled Sari Silk Yarn Luxury and March Giveaway Winner! 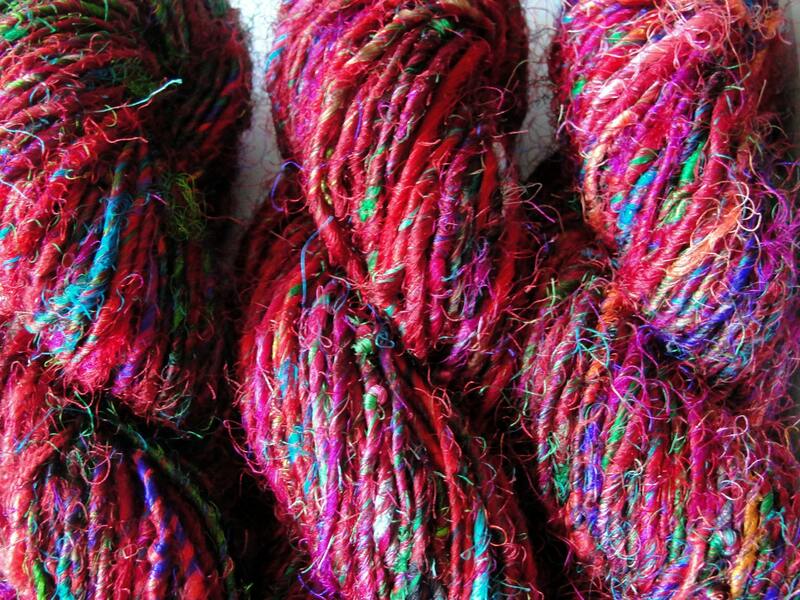 New Recycled Sari Silk Yarn Luxury and March Giveaway Winner! Here's my new listing of newly arrive Recycled Sari Silk Yarn Luxury, that is even softer and luxurious than my Recycled Sari Silk Yarn. I had a hard time picking a name for it. In fact I'm not sure I like the name Luxury at all. Hey, that's an idea for the April giveaway! Here's a picture. I'm pretty proud of this picture! Ooh I love this yarn! I'm afraid I won't be able to part with it if someone buys it. Ok, now to get down to business. Thank you all for the great comments on the giveaway blog post. Thanks to them I've incorporated more info on texture and color in my new yarn listings. Now let's see who won the March giveaway. 22 entries including tweets and comments on other blog posts of mine. 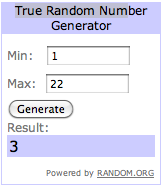 And the winner is #3 Rain! Rain please get in touch with me with your mailing address. And the rest of you do let me know what you think of this new yarn!